The number and variety of green jobs in Canada are ever-increasing, making this an exciting time for green job seekers. ECO Canada’s 2012 report, The Green Jobs Map: Tracking Employment through Canada’s Green Economy, found that Environmental Protection was the #1 sector with the most green job vacancies in Canada. Hydrogeologists fall within this sector, demonstrating just how high the demand will continue to be for this occupation. The beginning and end of each year are peak hiring periods for hydrogeologists, so if you’ve been considering a career switch, now is the ideal time. 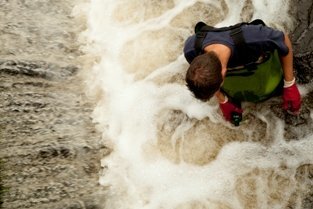 Make the most of a career in hydrogeology with these 5 fascinating insights. Higher education is particularly important for hydrogeologists. Recent data from the Government of Canada suggests that a Master’s degree is the new normal for most working in this occupation. Educated hydrogeologists come from top Canadian universities such as the University of British Columbia, the University of Toronto, and McGill University. Scientists at Conservation Technology estimate that groundwater makes up 95% of all freshwater available for drinking. Researchers in a new OECD report also project that global water demand will increase by 55% between 2000 and 2050. A variety of organizations around the world are focusing on exploring the use of sustainable, alternative water resources and innovative technologies. As a result, the need for hydrogeologists will continue to increase. As one of Canada’s most important industries, the oil sands industry is working towards reducing or eliminating the need for water in oil sands production, based on the Canadian Association of Petroleum Producers. Since hydrogeologists will be a key element in this, recruiters are looking for candidates with a strong understanding of environmental oil and gas regulations in provinces like Alberta and British Columbia. Following significant summer flooding in Alberta and Ontario, the role of hydrogeologists will further develop as a key component in predicting and mitigating future disasters. According to the Government of Canada’s career outlook report, hydrogeologists may also find increasing opportunities in Ontario given growing concerns about water and soil contamination and the need for environmental remediation. There is a demonstrated need for further studies and research about both surface and groundwater in provinces like Alberta, where new proposed legislation would restrict or prevent building in floodways. Since hydrogeologist jobs can be found in a variety of industries, from environmental consulting, oil sands projects, energy and more, hydrogeologists’ roles are often quite varied. Especially in intermediate to senior roles, hydrogeologists may lead business development activities and mentor junior staff, in addition to performing field work and analyzing hydrogeological data. I am Daibu Bolakale Muhammad by name a principal hydro geologist ,I have professional Master’s degree certificate in Geographic information system. I have used this tool to solve the effect of leachate parcolation near the municipal dumpsites.With what I have read through on your profile online. I believe if we work together we can achieve our greatest dreams. If will send my CV on request.Thanks ! Keep checking our job board for the latest industry jobs relevant to your career. That would be the best place to send your CV.